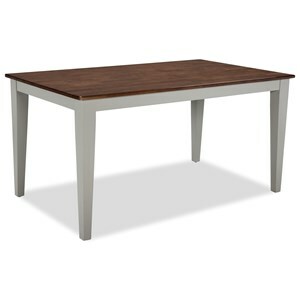 With a charming walnut finish and simple design, this trestle table is a great fit for a modern family dining room. 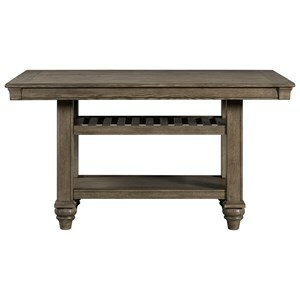 the Trestle base offers a sturdy frame and stylish look. 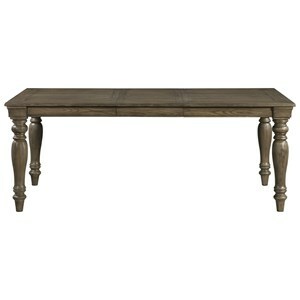 The understated details of this table allow it to perfectly match a modern family home and existing decor. 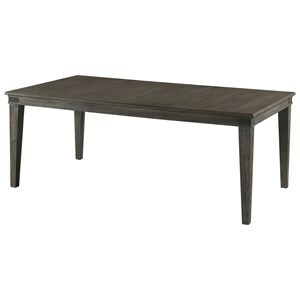 The Lindsay Rectangle Trestle Dining Table by VFM Signature at Virginia Furniture Market in the Rocky Mount, Roanoke, Lynchburg, Christiansburg, Blacksburg, Virginia area. Product availability may vary. Contact us for the most current availability on this product. Your modern but modest home is a place for charm and class while staying functional. 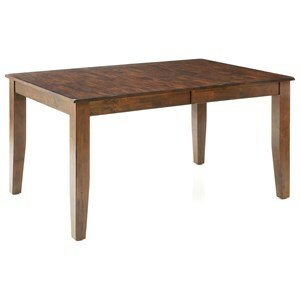 Pick the perfect dining set from this collection to match just that lifestyle. 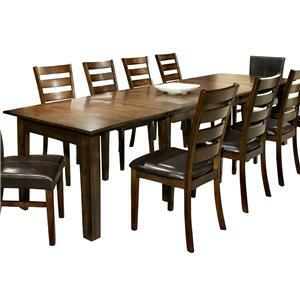 These table and chair sets are a great fit for a kitchen or dining room. 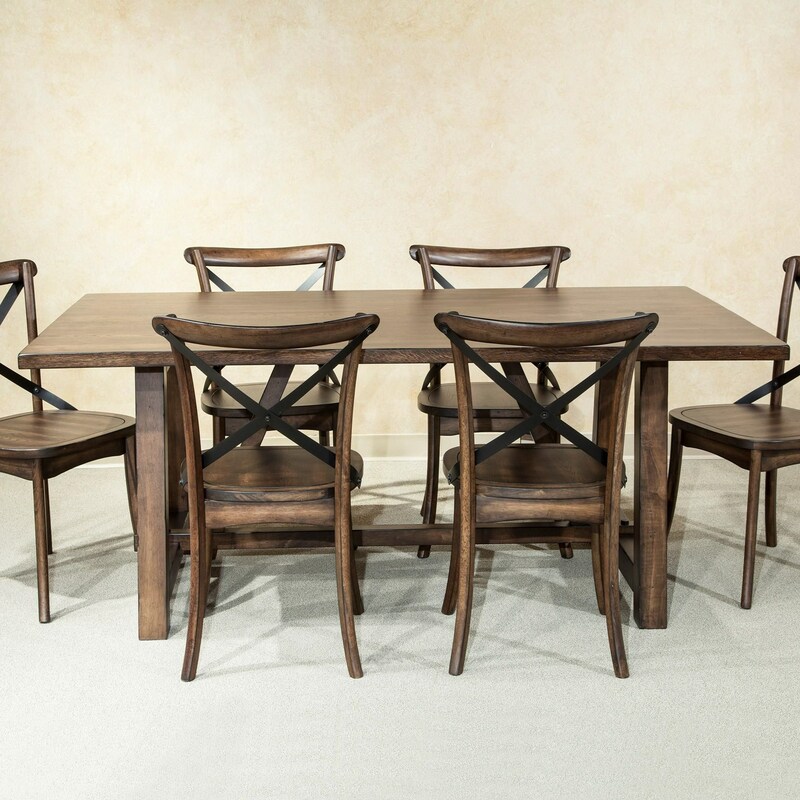 Clean lines, classic silhouettes, and a modern finish give this dining group just the style you're looking for. 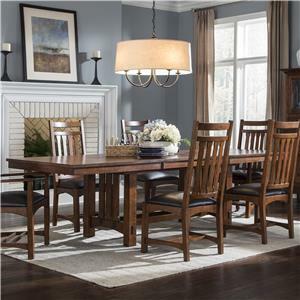 The Lindsay collection is a great option if you are looking for Rustic Transitional Casual furniture in the Rocky Mount, Roanoke, Lynchburg, Christiansburg, Blacksburg, Virginia area. 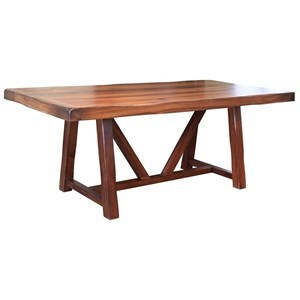 Browse other items in the Lindsay collection from Virginia Furniture Market in the Rocky Mount, Roanoke, Lynchburg, Christiansburg, Blacksburg, Virginia area.